Along with a new emphasis on product innovation and customization, Colorado Springs and Pueblo customers will find the same superior neighborhood service they’ve come to expect from Budget Blinds. Budget Blinds Serving Greater Colorado Springs and Pueblo, the local neighborhood window covering expert backed by the leading provider of custom window coverings in North America, has launched a new brand identity and expanded commitment to serving homeowners, businesses and residents in the Front Range neighborhoods. According to Scott Kewley and Mike Burwell, owners of Budget Blinds Serving Greater Colorado Springs and Pueblo, the new brand identity includes a new logo and look and feel that supports the continued efforts to provide Colorado Springs and Pueblo with the latest trends, innovative products and unparalleled service in the window covering space. 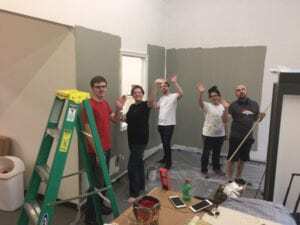 Budget Blinds Serving Greater Colorado Springs is part of Home Franchise Concepts (HFC), the top-selling family of direct-to-consumer brands in the home improvement space. In addition to Budget Blinds, HFC includes Tailored Living® and Concrete Craft®. Shirin Behzadi, CEO of Home Franchise Concepts, joined Scott & Mike to unveil the new Budget Blinds identity earlier this month during “Evolution of Success,” the 2018 Budget Blinds National Convention in Dallas. Budget Blinds Serving Greater Colorado Springs and Pueblo is one of more than 1,140 individually owned and operated Budget Blinds franchises nationwide, and one of nearly 1,400 franchises in the Home Franchise Concepts family. Budget Blinds has expanded! 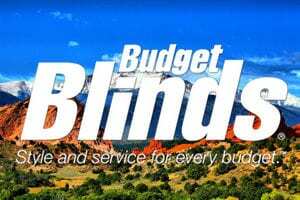 Budget Blinds of Southwest Colorado Springs and Pueblo now proudly serves North Colorado Springs. 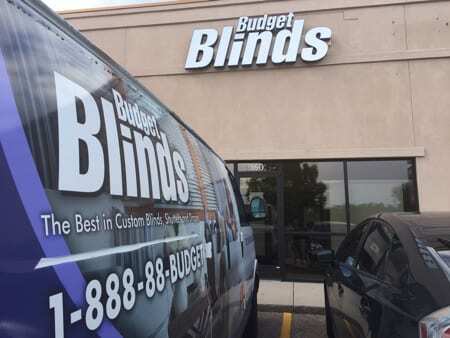 With this expansion comes a name change: we are now officially Budget Blinds of Greater Colorado Springs and Pueblo. We serve the Front Range from Palmer Lake on the North side all the way to Colorado City and Rye on the South side. We are so proud of our hard-working team and also thankful we can ring in the New Year with this announcement. Budget Blinds also handles a wide variety of Commercial applications. From our local Chick-Fil-A to the Antlers Hotel, we have you covered. And beyond blinds, shades and shutters, we do drapery and all types of soft treatments from roman shades to cornices and valances. Just call on our Inspired Drapes style consultant to help you today. So whether it’s a new build home you need covered fast, you’re remodeling or upgrading your existing home, you are preparing a home for sale, or if you have any window covering needs at all, we are happy to serve you. Contact us today for your FREE in-home consultation or read some of the reviews from our happy customers. We also encourage you to visit us in our showroom at 384 East Garden of the Gods Road, Suite 160. Conveniently located just East of I-25. 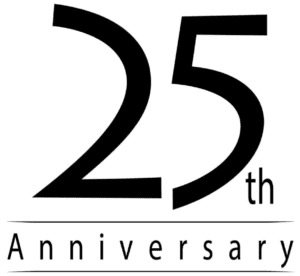 Budget Blinds is celebrating 25 years of excellence. This 25th Anniversary is a BIG milestone in our company and we are on track to install our 25th million window covering in 2017! We’re proud to be a local business owner in the Budget Blinds family. Thank you for trusting us as the leading window covering providers for the last 25 years. In celebration and, as a way of saying thanks, we’re offering the best deals in 25 years. Contact us to save big on custom, professionally installed window treatments you’ve always wanted! There’s more to come as we celebrate our 25th Anniversary. We believe everyone at every budget deserves style and service. Call us today to schedule your free in-home consultation and let us show you why we are the #1 custom window treatment company. Budget Blinds of SW Colorado Springs and Pueblo has moved to a new location! We are conveniently located on Garden of the Gods Road and I-25. From I-25, head East on Garden of the Gods Road and we are right across the road from Pikeview Reservoir. We have a new showroom in process, and we welcome you to stop by as long as you don’t mind a little mess! We are proud to bring you “style and service for every budget” and our new location will only enhance our ability to serve all our customers in SW Colorado Springs, Teller County, Pueblo County and Fremont County. Our Team Beautifying the Showroom for You! We are proud to announce that Budget Blinds of SW Colorado Springs and Pueblo has partnered with Lutron. Lutron is the leader in the lighting control industry and offers a wide selection of energy saving dimmers and lighting control solutions that now includes custom window treatments! As a certified Lutron dealer, we can help you step into the best-in-class automated roller shades and cellular shades. Additionally, we can set you on the path to developing a whole smart home solution with lighting dimmers, thermostat control and more! All this can be controlled seamlessly through an app on your iPhone or Android device. Previously only available in the luxury market, Budget Blinds now brings this amazing technology solution to your home. For the cost of a high-end manual shade or blind, we can provide a fully-automated blind or shade to you. These new shading solutions are the quietest on the market, have the longest battery life on the market (5-6 years!) and are maintenance free. You can even integrate the operation of your smart home with Alexa, Sonos, and more. Plus, Budget Blinds has an exclusive fabric line that no other dealer can offer! 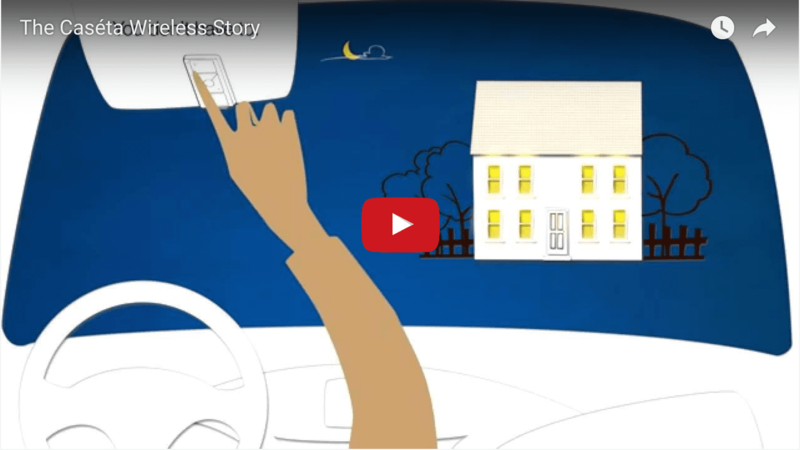 We encourage you to watch the short video to get an idea of how Budget Blinds and Lutron can give you a connected home. Contact us at info@budgetblindsco.com for more information, or simply call us at 719-301-7171 to book your free in-home consultation with one of our style consultants today.